Dónal Óg, a well known Gaelic song, is sung by Eilís Ó Cinneide. Born in Kerry, in the South West of Ireland, Eills (pronounced Ay-leesh) is 7th in a family of eight children of two schoolteachers, Caoimhín and Edna Kennedy (Ó Cinnéide). Born in Kerry, in the South West of Ireland, Eills (pronounced Ay-leesh) is 7th in a family of eight children of two schoolteachers, Caoimhín and Edna Kennedy (Ó Cinnéide). Her house was a musical one and a family who loved singing and spoke Gaelic and English fluently. She learned music in school and in Siamsa, an organisation involved in the teaching and performance of Irish music, song and dance. Eills has been playing music and singing for all of her life. This CD has received rave reviews from The Irish Times, Irish Music Magazine, Froots magazine and Hotpress, but it is hearing her live-that really captures peoples hearts. :"
She sings in both Gaelic and in English. She toured in the USA with the Philips - Coulter Ensemble in March 2000, leading to collaboration with California based guitarist William Coulter and cellist Barry Phillips on her CD. She has been on major tour of Taiwan with the same group. They performed in concert halls and Cultural Centres in all of the major cities of Taiwan including the beautiful 2000 plus seater National Concert Hall in Taipei. In 2003 she was a headliner in the Irish Folk Festival, the long established tour in Germany - a busy tour of all the major Concert Halls in Germany's main cities comprising a hectic 31 concerts in 34 days! Eilís was the vocalist on a month long Christmas Tour of the USA in December 2006, bringing her vocal talents to cities from West to East coast US , including a performance at the Cerritos Arts Center in Los Angeles and 14 other cities .. Since the release of Time to Sail , Eilis had had her music licenced by Arc Music for two compilations Global Women, and Gaelic Ireland. Shehas been featured in many publications, including Irish Music Magazine, Keltika ( Italy) and also in a Greek music magazine. She has worked with Fios Feasa , a West Kerry based company, in recording a series of instructional Gaelic music cds for children.These are Séideán Sí and Amhrán is Fiche. Eilís participated in a project called Beal Tuinne with the internationally reknown composer Shaun Davey which involved a live recording of 15 new songs composed by Shaun Davey, with lyrics from Eilís' late father Caoimhin ó Cinm!ide.This was performed in Dingle and the project was the subject of a major television documentary by Philip King and Nuala O 'Connor . The group of musicians and singers collectively known as &eal Tuinne includes Shaun Davey, Rita Connolly , Seamus Begley, Jim Murray, Laurence Courtney, Eoin Begley along with Eilis. Eilís performed as both a singer and flute player in this project. ~The Unitarian-Church-in Dublin ( as part-of IMRAM Poetry Festival) and-in Paris - at the Centre Culturel Irlandais in June 2009 as well as having numerous appearances in Dingle. The CD Beal Tuinne Live at St lames' Church Dingle was released on the Tara Music label to huge critical acclaim . Eilis has also taught singing to teenagers and younger children in the USA and in Dingle and is experienced in teaching singing workshops in Ireland (Sean Nos Cois Life, Dublin and Seoil Cheoil an Earraigh in West Kerry, Ireland) and in the USA. Each summer she participates in popular and well established St James' Folk Concert series in Dingle . Eilis has presented Geantrai, a TG4 television programme dedicated to Irish music ,in May 2008 ,and participated in many Traditional Irish singing programmes in recent years including Amhráin is Ansa Liom in 2009. 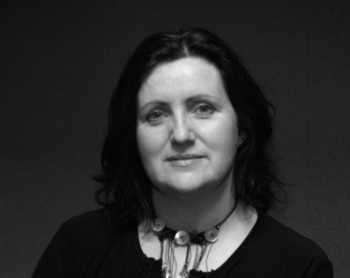 She is a regular contributor to music programmes on RTE Radio na Gaeltachta. Since 2007 Eilís has been part of the band Lumiere with fellow Dingle singer Pauline Scanlon and in this setting she has found a real joy as a singer, . She has toured in New Zealand, Australia, Europe and The US since the release of their first album and has had many radio and TV appearances. When she's not busy in her well known music bar in her native Dingle, John Bennys Pub, she's looking for new songs and adding to her wide collection! Either that or she's walking her dog and spending time with her family where she loves best, in Corca Dhuibhne.